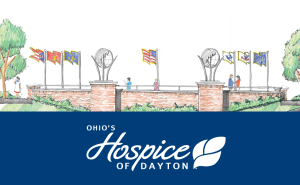 Dignitaries and local military leaders are among those invited to attend as Ohio’s Hospice of Dayton celebrates the dedication of a new Veteran’s memorial on the campus on Wednesday, November 11. The memorial honors the service and celebrates the lives of veterans from the Miami Valley community. 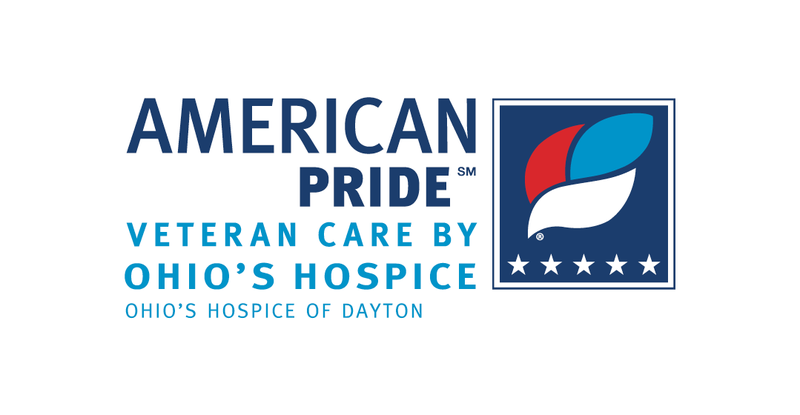 The American Pride Veterans Memorial is located on the north side of the Ohio’s Hospice of Dayton’s building at 324 Wilmington Avenue in Dayton. The memorial has multiple illustrated panels dedicated to individual military involvements – the Revolutionary War, Civil War, World War I, World War II, Korean, Viet Nam, Desert Storm and the War Against Terror. Each branch of the service is also represented with a panel of its own. The floor of the memorial is a map of the world, reflecting the international scope of conflict. 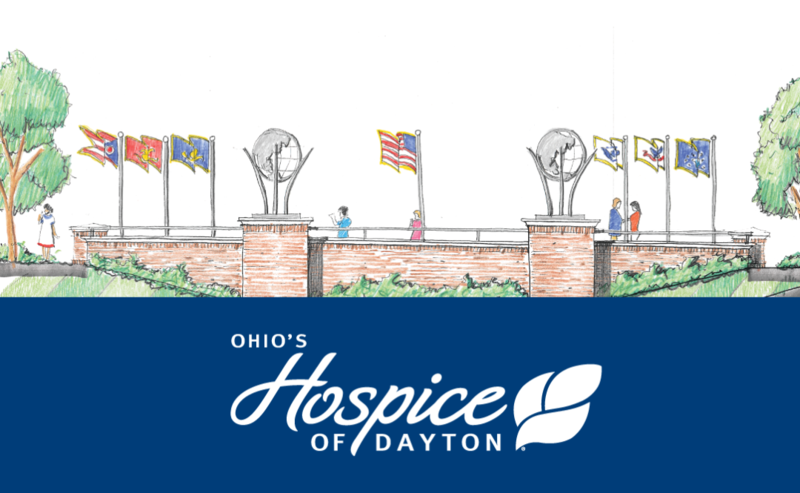 The American Pride Veterans Memorial is a part of Ohio’s Hospice of Dayton program to honor the Veterans and families they have the honor and privilege of serving throughout the greater Dayton area. The memorial features an interactive kiosk that offers an opportunity for all Veterans in the Miami Valley to be remembered. This kiosk will sit on the south side of the memorial and feature the names, photos and short stories about area Veterans. Future plans for the kiosk include remote viewing of the memorial listings and a feature that allows local family members to add Veterans to the kiosk. Ceremonies to dedicate the new memorial are scheduled for 5 pm on Veterans Day. The public is invited to attend.